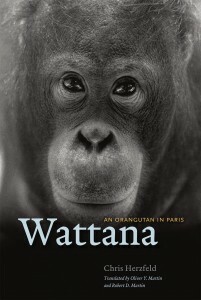 Wattana: An Orangutan in Paris tells the story of the titular primate, who (to cite the book’s jacket copy) “drinks tea, sews, draws on papers and is a self-taught master of tying and untying knots.” Again, and true to the title, it was in Paris where author Chris Herzfeld first fell in like with Wattana, who lives in the Jardin des Plantes Zoo, and where she began her expansive chronicle of primates in captivity—from the first arrival of orangutans from Europe in 1776 to the experience of caretakers and their captive subjects in several contemporary zoos. Along the way, Herzfeld’s research confirmed an ominous likelihood: scientists anticipate that orangutans will disappear from the wild by 2030. 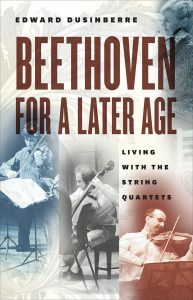 The book epitomizes recent efforts by the University of Chicago Press to lead the field in scholarship on human-animal relationships, capped off by our new Animal Lives series, and showcased in the bond that develops between Herzfeld and Wattana, which extends beyond the anthropological into the intimacies of daily life. In the meantime, Herzfeld has produced a series of videos documenting Wattana’s activities. Below, you’ll see a nine minute clip in which she ties and unties knots in over twenty different sequences, each more complex than . 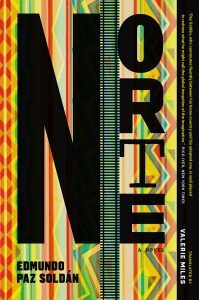 . .
Kirkus Reviews on Edmundo Paz Soldán’s Norte: A Novel, a refreshingly singular and urgent look at life “after” the US–Mexico border from one of Latin America’s most prominent literary voices, in a starred review: The lives of a mentally ill savant, a young artist, and a serial killer converge in a powerful novel that shuttles across the U.S.–Mexico border. The wide-ranging Bolivia-born Paz Soldán delivers a small cross-section of very different lives of Latinos in the United States, better to counter casual generalizations about them. But its key strength is its well-formed individual characterizations. In 2008, Michelle is a Bolivia-born college student and budding graphic novelist in Texas who risks being pulled astray by hard-partying friends and a professor she’s sleeping with. In 1931, Martín is a schizophrenic Mexican immigrant who becomes a celebrated outsider artist after his institutionalization in California. (Michelle will be invited to write about Martín’s work decades later.) And in northern Mexico in 1984, Jesús has begun his career as a serial killer, hopping trains across the border to hunt likely victims in Texas. Jesús, modeled after the real-life “Railroad Killer” Ángel Maturino Reséndiz, hogs the novel’s stage, largely thanks to Paz Soldán’s visceral descriptions of his killings, which rival Bret . 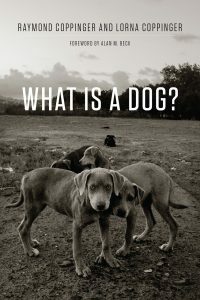 . .
August excerpt: What Is a Dog? “Why Do Village Dogs All Look Alike?”* Of the billion dogs in the world, three-quarters of them look as much alike as do the individuals of any other species. A few years ago we asked a Navajo shepherd what a Navajo sheepdog looked like. He said, “A Navajo sheepdog is not too big and not too small.” To us the Navajo sheepdogs were identical in size and shape and color variations with the sheepdogs of Sonora and the village dogs in the mountains of Venezuela or the ones we worked with in eastern and South Africa or saw in India and China. That is true of the majority of dogs in the world—they are not too big and they are not too small. One of the most fascinating details about that 85 percent of the dogs in the world that control their own reproductive life is: they all look alike. The similarity between the pigeon world and dog world continues. Pigeons, in some sense, all look alike. The pigeons in the Mexico City dump fly and look just like the pigeons in Trafalgar Square, like the pigeons in Istanbul, like the pigeons in Central Park, like the pigeons in Milan. . . .
“Parks, Biodiversity, and Education” by Edward O. Wilson* This is a very important meeting and book, and I’m grateful to be part of it. 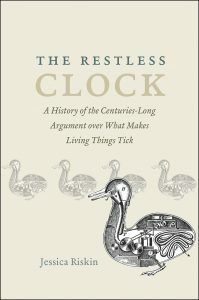 First, I’ll summarize what scientists have learned about biodiversity and extinction, especially during the past 20 years. Then I’ll suggest what I believe is the only viable solution to stanch the continuing high and growing rate of species extinction. Then, finally, I’ll make the point already obvious to many of you, that our national parks are logical centers for both scientific research and education for many domains of science, but especially and critically biodiversity and conservation of the living part of the environment. The world is turning green, albeit pastel green, but humanity’s focus remains on the physical environment—on pollution, the shortage of fresh water, the shrinkage of arable land, and on that great, wrathful demon, climate change. 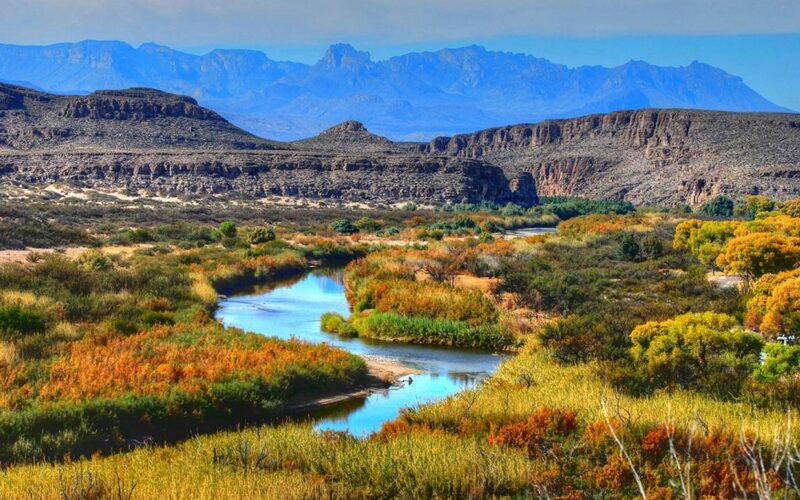 In contrast, Earth’s biodiversity, and the wildlands on which biodiversity is concentrated, have continued to receive relatively little attention. This is a huge strategic mistake. Consider the following rule of our environmental responsibility: If we save the living environment of Earth, we will also save the physical nonliving environment, because each depends intimately on the other. But if . 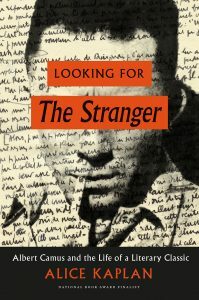 . .
“Existentialist Twins”* Although few Americans had read The Stranger in French—it had been hard enough to find a copy in wartime France—word of the novel had crossed the ocean. Blanche Knopf had founded the US publishing house Alfred A. Knopf, Inc., with her husband Alfred in 1945, and she had a special interest in publishing English translations of contemporary European literature. She had been cut off from France for the duration of the war, but by February 1945 she was back in touch with Jenny Bradley, Knopf’s agent in Paris. Sartre had lauded a new Camus novel, still in manuscript, called The Plague, in a lecture he gave at Harvard, and Blanche Knopf cabled Bradley, asking to see the proofs. The Plague, with its link to the suffering and heroism of France during the German occupation, was bound to make a splash, and she understood that Knopf might also have to buy The Stranger in order to get it. Alfred Knopf cabled Bradley in February, eager to acquire The Plague, although Camus hadn’t yet finished it, but he was still hesitating about The Stranger. In March 1945, he made up his mind and offered $350 for it. *** Not an ideological or interpretive divide, not even . . .
“Artificial Darkness Was Not a Medium”* Artificial Darkness does not advance the medium of darkness in place of the medium of painting or the medium of film. 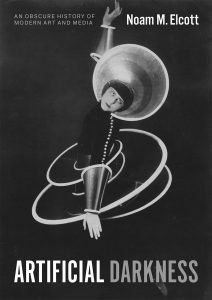 The histories of art and film presented here demonstrate not only that artificial darkness could operate between media but, more so, that it could only operate between media. Implicit in these histories, therefore, is a more radical proposition—asserted expansively by media theorists like Eva Horn—that there are no media. That is, there are no media “in a substantial and historically stable sense.” Joseph Vogl elaborates: “Media are not reducible to representations such as theater or film or to techniques such as printing or telegraphy. Nor are they reducible to symbols such as letters or numbers. Nevertheless, media are present in all of these things. They cannot be comprehended simply as a method for the processing, storing, or transmission of data. One can, however, reach their historical mode of existence through a special form of questioning: by asking how media determine the conditions they themselves created for what they store, process, and transmit.” Artificial darkness was not a medium. Instead, it was a “thoroughly heterogeneous ensemble consisting of discourses, institutions, architectural forms, regulatory decisions, laws, administrative measures, scientific statements, philosophical, . . .
“Craft as Collective Practice”* One way of characterizing the social turn in contemporary artistic practice is to foreground its history in the pedagogical practices of previous generations, in this case, women ceramists whose careers throughout the mid-twentieth century expand and enrich our current understanding of what socially engaged artistic practice is today. 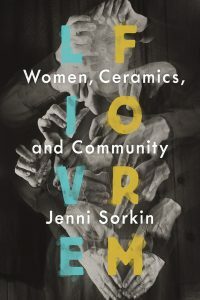 This book argues that is was modern craft and not modern art that spearheaded nonhierarchical and participatory experiences, through the experiential properties endemic to craft practices and, in particular, ceramics. This runs counter to the existing genealogies of participatory art charted by Claire Bishop and Boris Groys, which are wholly tied to a European model of performance and non-object avant-garde practice. Today, many artistic practices focus heavily on “socially engaged art,” “institutional transformations,” and “knowledge-exchange” between artist and audience. Mid-century craft is an important but unacknowledged antecedent to the activist principles that service such contemporary ideologies. Moreover, it was women artists, many of whom were affiliated with social reform movements and spearheaded radical educational initiatives, who performed the teaching and transmission of craft skills and ideologies at midcentury. This study is a thematic and gendered history of postwar American ceramics, which resituates a presently isolated and self-contained field . 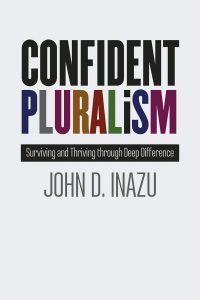 . .
“Doctrinal Problems”* It may seem odd that we see so many constraints on expression in traditional public forums in light of today’s generally permissive First Amendment landscape. In recent years, the Supreme Court has upheld the First Amendment rights of video gamers, liars, and people with weird animal fetishes. But in most cases involving the public forum—cases where speech and assembly might actually matter to public discourse and social change—courts have been far less protective of civil liberties. Part of the reason for this more tepid judicial treatment of the public forum is a formalistic doctrinal analysis that has emerged over the past half-century. Courts allow governmental actors to impose time, place, and manner restrictions in public forums. These restrictions must be “reasonable” and “neutral,” and they must “leave open ample alternative channels for communication of the information.” The reasonableness requirement is an inherently squishy standard that can almost always be met. The neutrality requirement means that restrictions on a public forum must avoid singling out a particular topic or viewpoint. For example, they cannot limit only political speech or only religious speech (content-based restrictions0. And they cannot limit only political speech expressing Republican values or only religious speech expressing . . .